I noticed that Studio Fourteen Forty was sponsoring one of my regular challenge sites this month, and decided to pay them a visit. I discovered a whole lot of amazing flairs, chipboard and masks - and ones that coordinated with my beloved 7 dots studio "Destination unknown" - very cool.... I also noticed that they had their own colour challenge running! Make sure you go and have a look!!! Well I love a good challenge - and I love it even more when their products coordinate with my other favourites! So here is the mood board and colours... The colours reminded me of my Heidi Swapp "Hello today" paper pad - which encompasses all these colours except purple. So I found a photo to match, and created a layout around it!Unfortunately, these photos had one horizontal and one vertical picture, which I think always look awful together on a single page - so I cut them to be squares in the same size, but the originals had a white border so it looks a little odd haha. 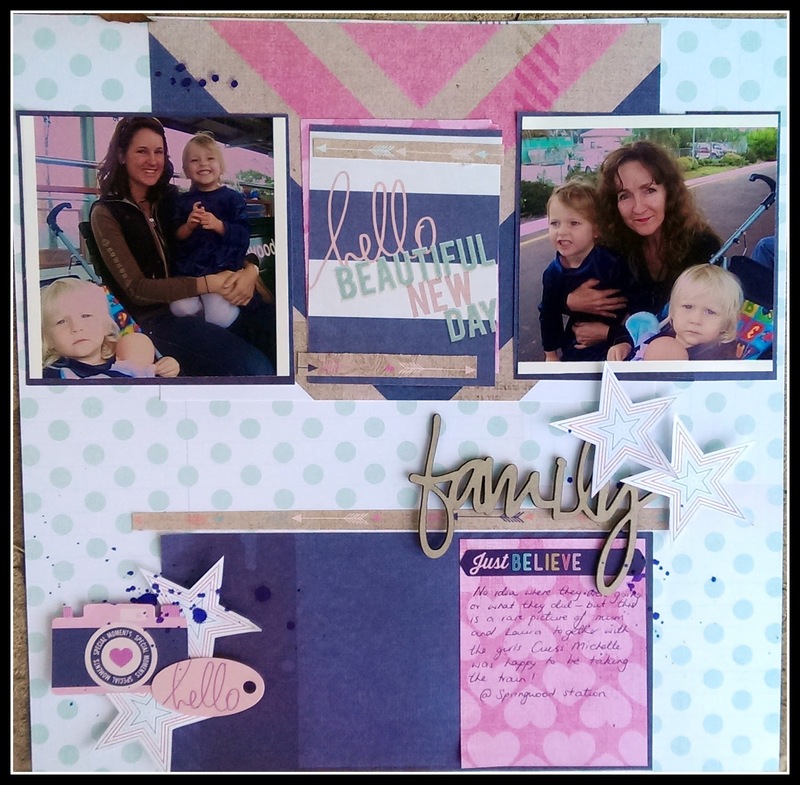 Hi, thanks for joining in with our challenge... Love the ink splatters and clusters.. Very cool!